Brockhoff has a rich history of winter sports in her family. Her uncle, Peter Brockhoff competed in Alpine Skiing at the 1960 and 1964 Winter Olympics, her grandfather Harold Brockhoff was one of the original pioneers of Mt Buller and her great aunt, Joyce Brockhoff has a run named in her honour at Mt Hotham, Victoria in recognition of her work promoting the involvement of women in snow sports. Brockhoff trained and competed in a number of snowboard disciplines, competing on the World Cup circuit in Parallel Giant Slalom, before settling on Snowboard Cross for her first World Cup circuit in 2012/13. Fast forward to the 2016/17 season and Brockhoff was a force to reckoned with, having won two World Cups (Montafon, Austria and Bansko, Bulgaria) plus a silver at Feldberg, Germany. She finished overall third in the World Cup standings – despite dealing with a knee injury toward the end of the season. Her rise through the ranks to the top of her sport began in the 2012/13 season when Brockhoff made history as the first Australian woman to win a Snowboard Cross World Cup medal after taking the bronze in Montafon, Austria. By the conclusion of that season, she was ninth overall on the World Cup standings and had placed sixth at the Olympic Test Event in Sochi in early 2013. 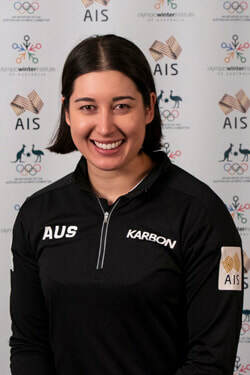 Competing at her first Olympic Winter Games in Sochi, Russia, Brockhoff achieved the highest placing of the Australian Snowboard Cross athletes, finishing eighth. In 2014-2015, Brockhoff had a strong, consistent season, reaching the semi-final in each event entered, culminating with an overall fifth place world ranking. Her leading results were fourth at the X-Games in Aspen, USA, and World Cup in La Molina, Spain. Brockhoff made history becoming the first Australian female to win a Snowboard Cross World Cup at the final event of the 2015/16 season (March 20,2016) in Baqueira Beret, Spain – joining team mate Alex “Chumpy” Pullin who won the Men’s World Cup, thus creating an historic double Gold for Australia. Brockhoff contested her second Olympics at the PyeongChang 2018 Games without an ACL, finishing eleventh in the women's Snowboard Cross finals at Phoenix Snow Park less than two months after undergoing serious knee surgery. Proudest moment: Winning my first world cup and sharing that win with Alex Pullin who won the men’s event five mins later. I began my sport in ... 2003 because I became so attracted to it when watching big mountain films. I then started boardercross in 2012 because I loved hitting features as fast as I could and racing my mates to the bottom of the hill. SBX offered all that to me so I went for it. When I am not training or competing I am: working on my clothing brand ‘Yuzoko' or working on my photography. I enjoy my sport because its fast, adrenaline pumping and a ton of fun. Education: Year 12, Certificate Personal Trainer.